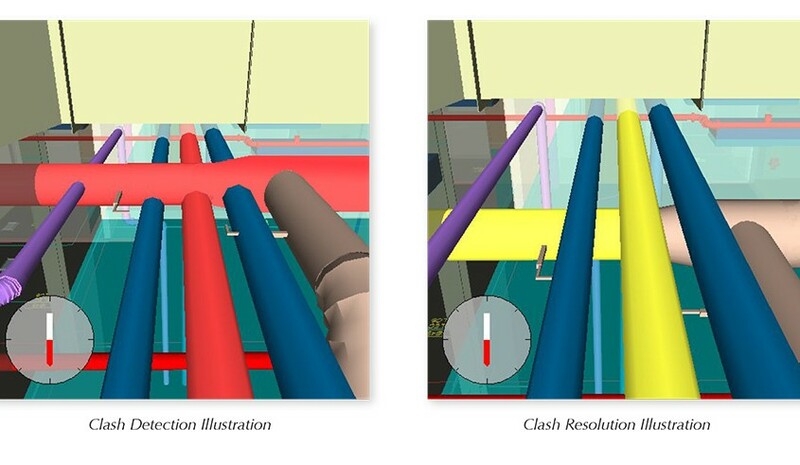 Create a 3D model of the structure and all MEP work. 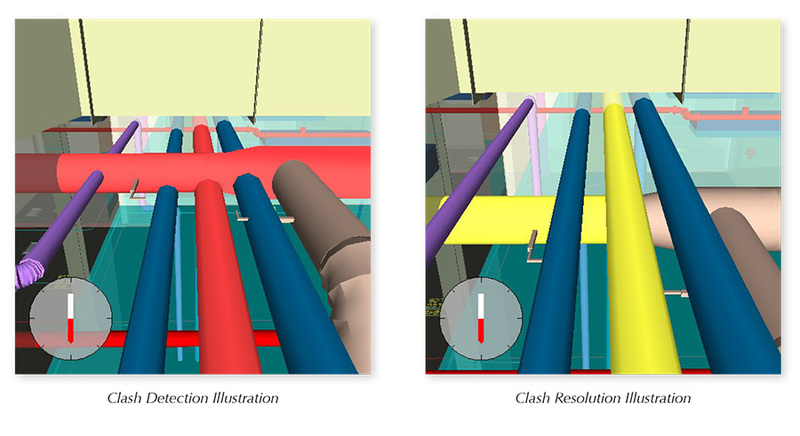 Review the model with all subcontractors involved to identify clashes. Make changes to eliminate clashes before they occur in the field. This service significantly reduces change orders caused by interferences between these major trades because resolution is achieved virtually, before construction starts. The outcome for the project equals reduced costs and avoiding schedule delays attributed to such clashes.